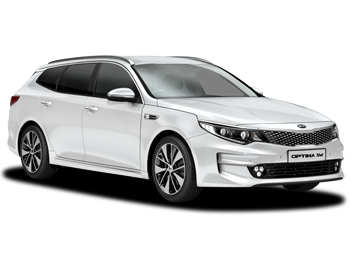 Why should I buy an Approved Used Kia? Every Kia is carefully selected. Kia Approved Used cars are chosen by the manufacturer, according to strict criteria. All cars are less than 18 months old with less than 18,000 miles on the clock. So you can drive away in your Approved Used Kia knowing that it’s in tip-top condition. 7 years’ peace of mind. All Kia Approved Used cars come with a 7-year warranty, which is the longest available. You won't find that anywhere else. Every Approved Used Kia has a full service history, completed by qualified Kia technicians, so you’ll have no doubt about its previous owners. Every car is also thoroughly valeted to the highest standards, so it’ll feel brand-new. Approved Used Kias have been certified by Experian to confirm that there are no major insurance claims for accident damage and no outstanding finance owed – making buying worry-free. Receive 1-year European Roadside Assistance. Your Approved Used Kia will be covered by the RAC for one year at home and if you travel in Europe. So you’ll get extra peace of mind wherever you choose to take your car. Qualified Kia technicians carry out a thorough multi-point check of every Approved Used Kia and each car is certificated to show they’ve been inspected. Get your first-year MOT - for free. Kia pays up to £500 for your MOT test, to cover the cost of any repairs. All you have to do is have it carried out at a Kia approved service centre. Relax with free Kia Accident AfterCare. If you’re ever in an accident, you can call Kia’s 24-hour service Call Kia on 0330 102 8832 whoever you’re insured by. We’ll do the rest, including liaising with your insurer and guaranteeing any repairs at a Kia approved bodyshop.